After years of governments that were not chosen by the Italians, partly a result of the major financial crisis in 2011 that forced the Italian president Napolitano to remove Berlusconi out of office, the voters finally are going to have their say again about who is to lead the country tomorrow. 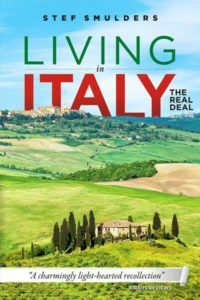 A lot has happened since 2011, not the least of this the rise and fall of Italians youngest and most ambitious premier Matteo Renzi, who at the time is only the social-democrats’ party secretary. Fortunately the election system has been modified as well, after ten years of struggle. 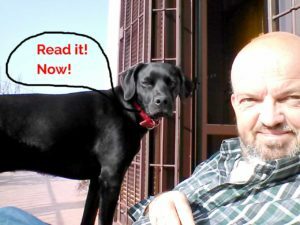 It had to be changed after the Constitutional Court had declared it unconstitutional, which also meant that all governments since 2006 when Berlusconi designed this law were illegitimate. Don’t you just love Italy? Better (still) is that finally, finally, the Italian economy is growing again and unemployment is falling, albeit piano piano, slowly. Who is going to win? Of course nobody knows. 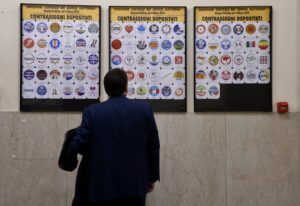 The unreliable polls predict the right-wing coalition of Berlusconi’s Forza Italia with the extreme right Lega (former Lega Nord) and a few small semi-fascist parties to attract the most votes. The 36- 37% they are believed to obtain will however not likely be enough to gain a majority in parliament. The same holds for the new populist Cinque Sterre Five Star movement (founded by comedian Grillo) and the social-democrats PD, who lost their most leftist wing after an internal struggle. It is not even likely that in the case PD and Five Star movement would collaborate they would achieve a majority. 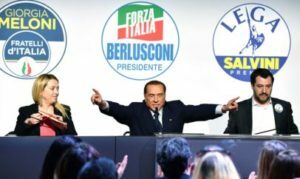 A hung parliament is the most likely outcome, which leaves the final decision to the president, Matarella, ironically the inventer of the election law in function before Berlusconi introduced the unconstitutional one. Which is such a pity as the new law would finally allow a majority coalition to have power in both houses, Chamber of Deputies and Senate. The fact that this was virtually impossible with the old law is the cause of Italy’s ungovernability during the last decade. 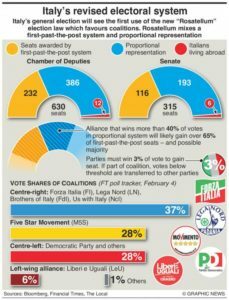 But the rise of the Five Star movement has split the political in three, replacing the ancient left-right division. One thing is sure: Berlusconi is not going to be the next premier as he is not allowed to be elected as a result of a conviction (yes, they finally managed to catch him) in 2013 and a new law introduced in 2012. But one may be sure he’ll be active on the background. For him the only threat comes from within his own coalition: if the Lega gets more votes than Forza Italia its leader Salvini will want to take control. What happens then, nobody knows. Berlusconi might even decide to break up and switch to another coalition. Nothing is unthinkable in politics, especially so in the Italian version of this game. Exciting it is going to be, that is for sure. Keep posted!